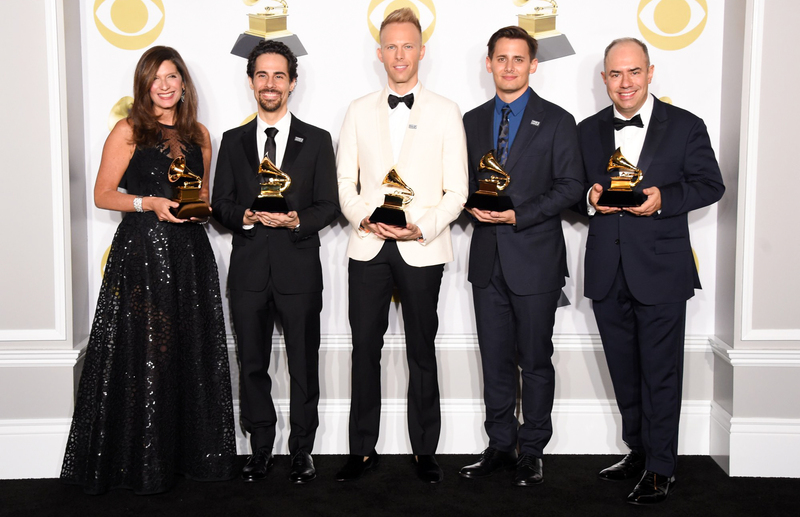 On Sunday evening, two Wesleyan alumni, Pete Ganbarg ’88 and Lin-Manuel Miranda ’02, won Grammys for Best Musical Theater Album and Best Song Written for Visual Media, respectively. Ganbarg gives credit to the University for helping to nurture his passion for music. During his undergraduate years, Ganbarg served as music director at WESU, booked concerts for Spring Fling and other social events, and managed several campus bands. Ganbarg’s “Dear Evan Hansen” award marks his second Grammy win for Best Musical Theater Album; two years ago he won the same award for producing “Hamilton,” written by and starring Lin-Manuel Miranda ’02, who also went home this year with an award for his song “How Far I’ll Go” featured in Disney’s Moana. The win gave Miranda his third Grammy, having previously won the award for Best Musical Theater Album in 2016 for “Hamilton” and in 2009 for “In the Heights,” which he wrote during his time at the University. Both Ganbarg and Miranda are continuing to produce work. “This Is Me,” featured on the soundtrack for “The Greatest Showman,” which Ganbarg co-produced, could further the success it found at the Golden Globes by bringing home the award for Best Original Song at this year’s Oscars. As for Miranda, he is already hard at work on his newest Broadway musical, which is sure to garner critical acclaim when it hits the stage in the next several years.